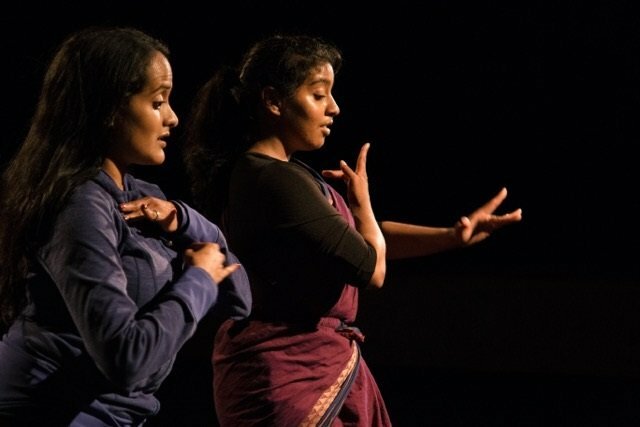 Decoding Bharatnatyam showcases the work of award-winning choreographer Nova Bhattacharya and her passion for querying the contemporary and ‘riffing off’ of the classical Indian Bharatnatyam technique to stunning effect. Broken Lines is a love letter to bharatnatyam dancers – ‘a radical work that pulls apart notions of power, tradition and ritual’; Alaap is a thoughtfully crafted meditation on the creation of the universe; and Calm Abiding, the celebrated solo for Bhattacharya commissioned from José Navas, returning to Toronto after triumphant performances in Montreal. Calm Abiding a solo for Nova by José Navas, with a score by Alexander MacSween.